I was aware that there was an opium epidemic, but I didn’t know the specifics of how, when, and where it all started. This book was an eye opener. My ill-informed view of the opium problem was that people who were addicted to pain medication were buying the drugs illegally and duping the system by going to multiple pharmacies to have a prescription filled. I was not aware of the extent to which big pharma has become more like drug kingpins. 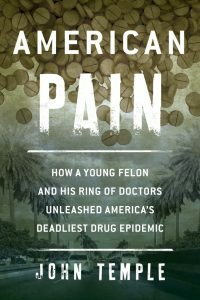 I had no idea that a pain pill like Oxycontin was essentially legalized heroin. It’s easy to see how so many Americans have become addicted. It starts with a prescription for pain medication. Maybe the pain is a result of an injury or surgery. Whatever the cause, the patient becomes dependent on the drugs. From that point on it is a downward spiral that affects all aspects of that person’s life. 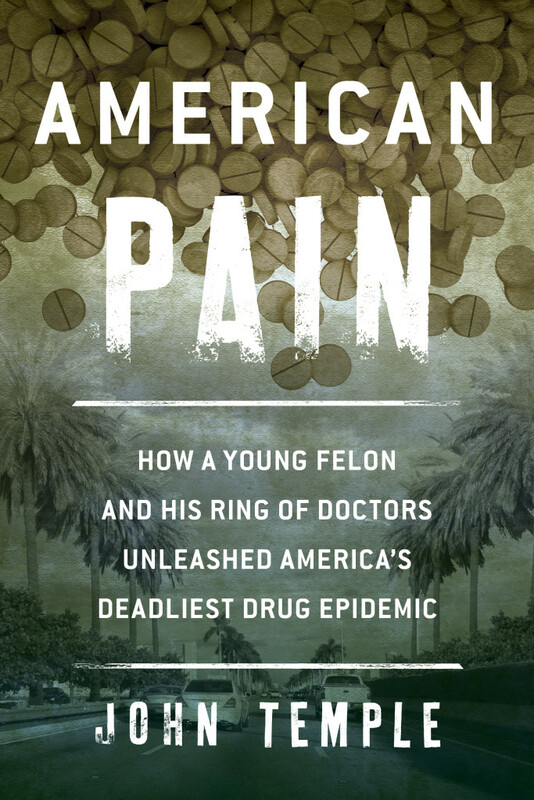 The book American Pain takes readers to the epicenter of the opium epidemic. Two characters right out of Breaking Bad get the ball rolling. Chris George and Derik Nolan are the Walter White and Jesse Pinkman real life counterparts.They start their fledgling enterprise in Florida, a state that had no regulations covering pain clinics. Advertising for doctors on Craigslist, Chris and his cohorts amass a fortune of more than forty million dollars in just over two years. How did they do it? It starts with a clueless state government and a lack of oversight. With no one minding the store, Chris, and his employees are allowed to open multiple pill mills. They cater exclusively to addicts. It’s legal drug dealing. Even after Broward County Florida becomes the epicenter of the Opium epidemic and the reality of what is happening becomes apparent, the newly elected Governor, Rick Scott, decides to shut down all efforts to get control over the situation. Too much regulation is his defense. Well, guess what Governor Scott? It was the lack of regulations that made your state responsible for thousands of overdose deaths and countless people turning into drug addicts. Only after pressure from all sides does Scott relent and regulators finally put a stop to the flow of pills. Rather than going after the pill mills, wholesalers, and pharmaceutical industries, the cops and DEA focus on the addicts. They tear families apart by imprisoning addicts whose only crime is purchasing a legal pill outside of a pill mill. Pharmaceutical CEOs meanwhile become millionaires pushing addictive drugs, all the while denying that the drugs are addictive. The documentary below provides a glimpse of what is covered in the book.